I grew up with having Betadine as our go-to whenever there’s little mishaps like this. Either a Betadine or an alcohol or a hydrogen peroxide. You know the usual belief with parents that when you put a Betadine, the browner the color the more effective it gets for the healing process. as for hydrogen peroxide., the more bubbles you see, the more bacteria it eliminates. However, these are all false beliefs and in fact, it is not advisable as it can actually ham the tissue and even delay the healing process. 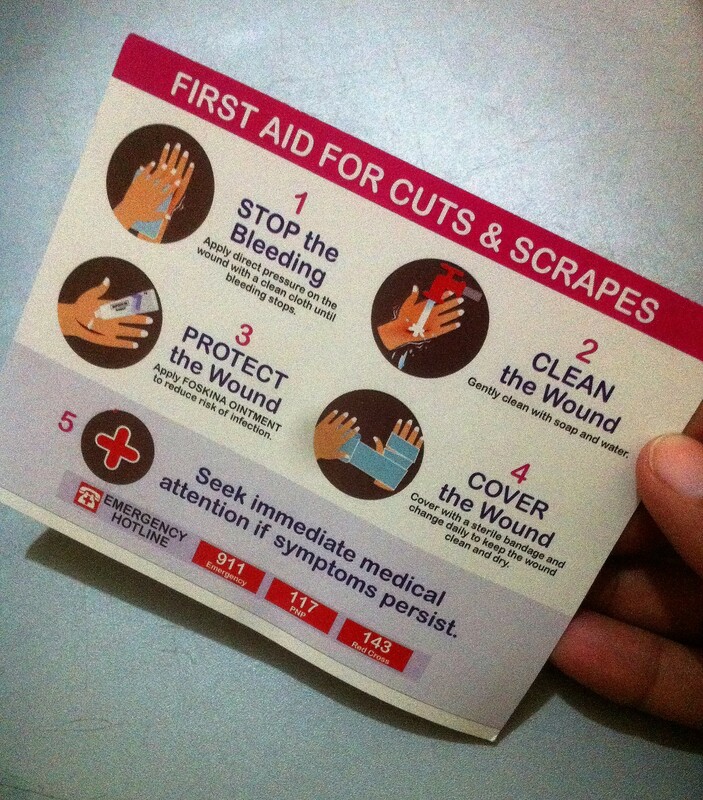 So, what are the proper steps in caring for a wound? These steps are most recommended by pediatricians and doctors . We need to be very particular on this in order to prevent infections, complications and also to help minimize the effects of ugly scarring. What are the signs to watch out for your child’s wound? If the skin around the wound becomes inflamed, the wound discharge increases in amount or is accompanied by an unpleasant smell. Generally, if you feel that the wound is healing too slowly and your child develops fever and enlarging lymph nodes, it is best to consult a dermatologist at the soonest possible time, as per Dr. Giselle Adasa, a Pediatric Dermatologist and a member of The Philippine Dermatological Society. As a parent, keeping our child safe is our top priority. 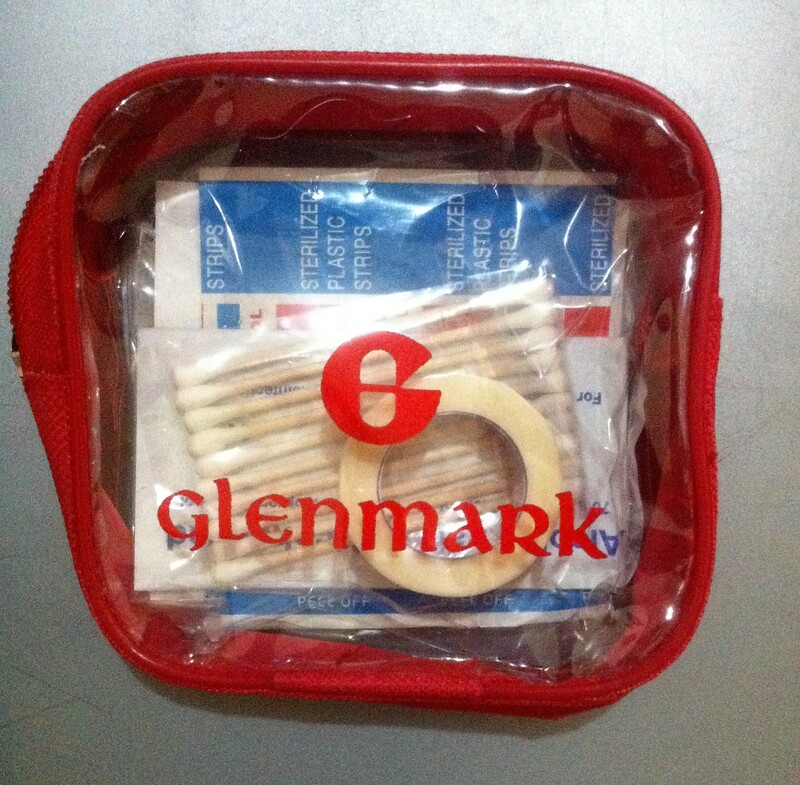 Glenmark Philippines aims to increase awareness on the importance in knowing basic first aid, particularly among parents. 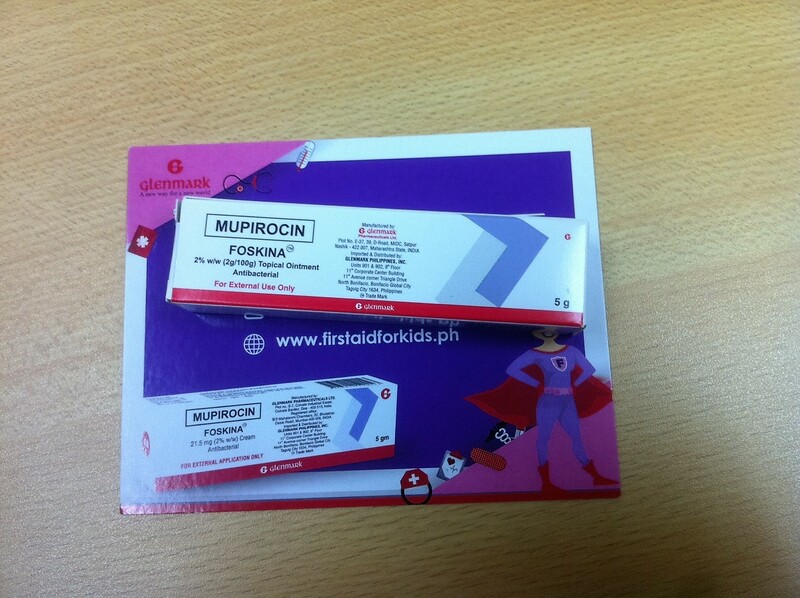 One of the essentials inside a first aid kit is a topical antibiotic . This kit is very handy and a must on every kids bags. Although most schools have first aids, it’s still important that they carry this at all times. Foskina Ointment, a product of Glenmark, offers a wide range of activity over oter available products. It is safer and much better tolerated. 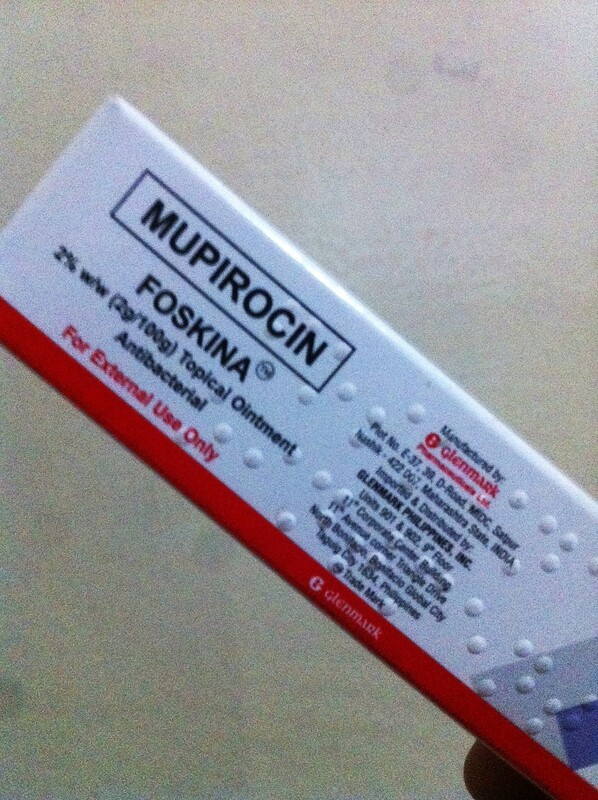 Foskina contains Mupirocin 2 %, an antibiotic that is indicated for the total treatment of bacterial skin infections like furuncles, impertigo and open wounds, among others. It is also extremely useful in the treatment of MRSA or Methicillin-Resistant-Straph-Aureus infections, which is becoming a cause of significant death in hospitalized patients receiving systematic antibiotic therapy. Foskina Ointment used to be an antibiotic ointment prescribed by doctors but now it can be bought as an over-the-counter product and is now available in all leading drugstores nationwide.